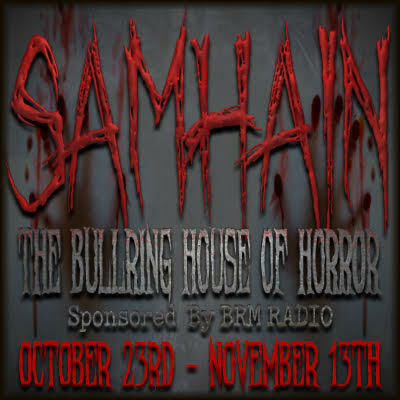 Confront the darkest of fears at SAMHAIN-Bullring House of Horrors Experience from October 23-November 13, 2016. SAMHAIN-Bullring House of Horrors Experience, sponsored by BRM Radio, summons those unafraid by the horrors, darkness and startling images. On a very dark October night, seven young girls came upon Clairmont Property, explored the area, but were never heard from again. The caretaker mumbles some stories. No one truly believes the claims. Can you solve what happened to those seven young girls? Dare to walk down the darkened path to confront the unknown. No promises on the sights that might been seen….this is not for the faint hearted. Gather up friends to explore through this haunted Property. Seven daring, extreme experiences await to test your abilities. Complete all the experiences for access to an incredible prize room. Do you have what it takes to accomplish what lies ahead?? Come find out, just don’t come alone!! !